Jack Thomas has 10 years’ sales experience including residential and rural property sales and valuations. Not to mention property management. 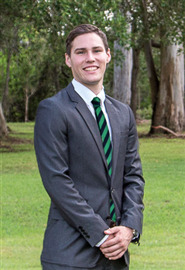 After being involved in residential sales in Warwick, Tamworth, Bundaberg and Brisbane, Jack has now established a base in Tenterfield where he will specialise in residential, rural and lifestyle real estate. Combined with a Bachelor of Business and Property Economics at the University of Central Queensland and Griffith University, Jack relies on his knowledge and experience to advise and achieve the best results for both his customers and clients in all sectors of real estate. He also brings passion and enthusiasm for property, along with a desire to share & influence daily to help buyers and sellers with buying and selling a home, a major transition life for most. “If you have any real estate needs or questions please call me, as I’m more than happy to help."